Khloe Kardashian is 33 weeks pregnant and two-weeks away from her due date. 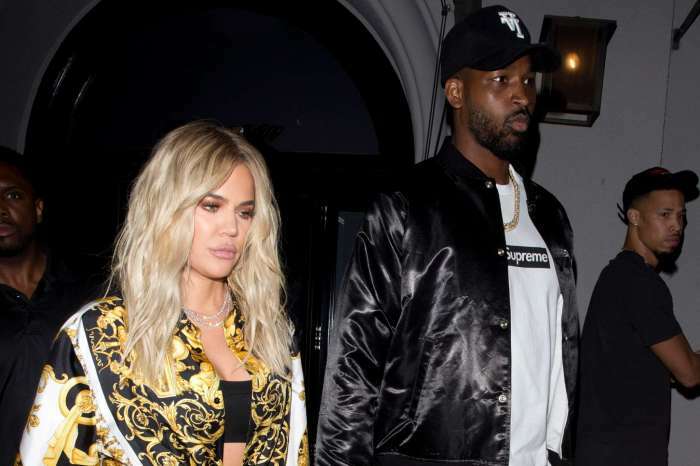 As Khloe has expressed excitement and happiness about welcoming her baby girl into the world, she’s also discussed keeping intimacy alive with her partner, NBA player Tristan Thompson. She has already discussed keeping their sexual relationship healthy and has now released photos of the couple in bed, while she is dressed in lingerie. Khloe has stated she wants to show off her beautiful baby bump but has also promoted a healthy sexual relationship throughout pregnancy. Khloe shared the racy pic on her Khloewithak app. It followed similar racy photos posted to her other social media accounts, such as Instagram. Khloe has been very open about her pregnancy and has regularly engaged in discussions with her Twitter followers. She has even answered questions regarding her body image and workout schedule. As Khloe Kardashian and Kylie Jenner were both pregnant at the same time, fans have been interested in their baby bump photos. Kylie Jenner kept details of her pregnancy a secret until after her baby Stormi Webster was born. Khloe Kardashian has taken a different approach to her pregnancy than Kylie. 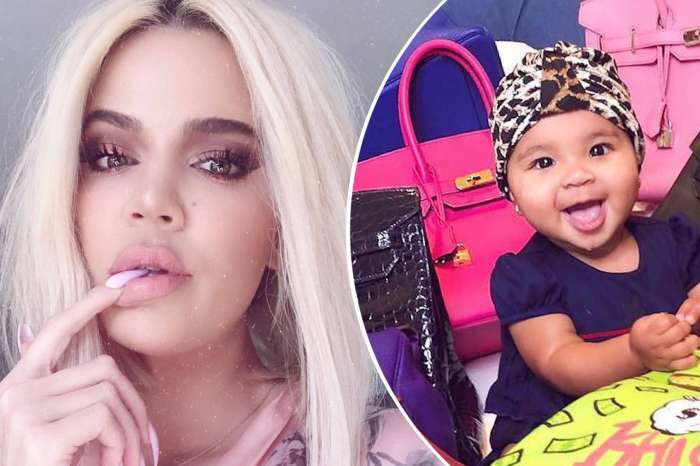 Not only did Khloe Kardashian publicly announce she was pregnant, she has regularly shared photos, videos and discussed her pregnancy in the public arena. 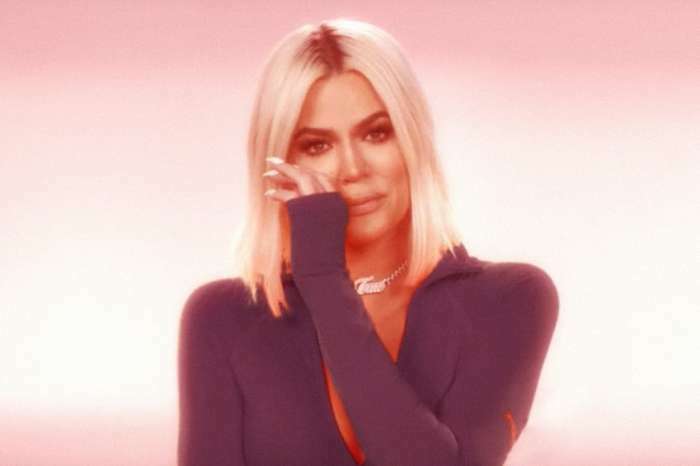 Another aspect of Khloe Kardashian’s approach to her pregnancy that differs from her sister Kylie’s is Tristan Thompson’s public involvement. Kylie Jenner and Travis Scott both agreed to stay out of the public spotlight throughout her pregnancy. Due to the lack of photos showing them together, many began to believe they had broken up. Khloe Kardashian and Tristan Thompson have let the world know they are excited about their daughter’s arrival and are often seen in photos displaying affection. Tristan has been photographed rubbing Khloe’s belly and her Instagram often reveals behind-the-scenes looks at the soon-to-be new parents as a couple. Khloe has also discussed her feelings about the upcoming birth of her daughter and the end of her pregnancy. She said that though there are times the pregnancy feels as if it will never end, she knows it won’t be long until her baby is born. What do you think of Khloe’s approach to pregnancy? Are you surprised she readily shares her pregnancy photos online? Revenge? David Beador Shuts Off The Water In Ex Shannon And His Daughters' Home!